Here’s another post about the Fujifilm X100. This time though, I’m talking about the X100 2.0. 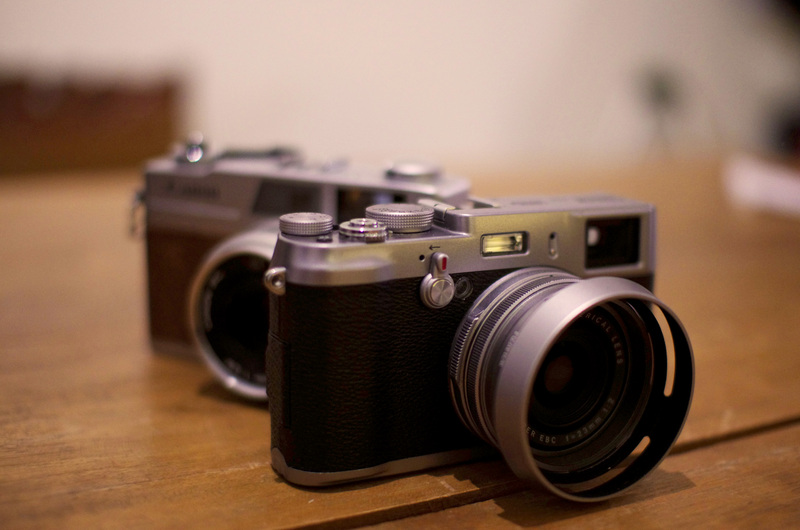 The sort of rebirth of the Fujifilm X100. Even though this trusty ‘classic’ was announced all the way back in 2010 (which nowadays would make most camera’s be OLD) it still doesn’t feel long in the tooth at all. Many happy owners still use the camera even though it has been replaced by the x100s some time ago. It has seen the rise of the X-mount system, the birth of the X-trans, and even the X-trans II sensors, and you would think that Fuji has forgotten all about this little guy. But they have once more proven to truly care about their loyalists. A short while ago they released the 2.0 firmware update for the x100 which makes it a much more usable camera and makes it more than a match for similarly priced premium compacts. Before I get into the specifics of the new firmware I’d like us to consider for a moment how very nice it is of Fuji to do this. It’s like a little present for X100 shooters like myself, a little pat on the back for being Fuji shooters. It doesn’t make them any money, and quite frankly none of us were expecting Fuji to do this. So it’s not like they had to do this at all it’s not even logical. But they did and I love them for being so very kind. Now the firmware promised to make the camera’s focusing system be more efficient, the minimal focusing distance has now been shortened by 30% (you no longer have to put in macro mode when taking a picture of a person sitting close to you). It also makes this firstborn X somewhat faster when using AF. And for all the people like me, who never used the manual focus on this guy because it was rubbish at best, can do so now because manual focusing is aided by the X100s’ focus peaking mode now, which is nice. Well, I downloaded it, tested it, and compared it to the old firmware. And it works! I mean it’s still the X100 obviously, it doesn’t magically turn it into an X100s. It’s still the same 12mp sensor (which I love by the way). The output is still the same (nothing wrong with that), but the ease of use has increased quite a lot. I always used to switch back and forth between macro mode all the time. But now I don’t have to do that as much anymore. Also the focusing has definitely improved, it grabs focus slightly quicker and also more often… X100 owners know why this is important right? Because the camera sometimes wouldn’t grab focus at all sometimes. Don’t go using it for sports photography all of a sudden though, it still can’t do that. But its usability for portraits, street photography and all that good stuff is now even better.